August brings into sharp focus and a furious boil everything I’ve been listening to in the late spring and summer. Goodbye July and hello August! With summer holidays underway, you may be on the look out for an array of interesting and fun events to attend with your children, friends or family. 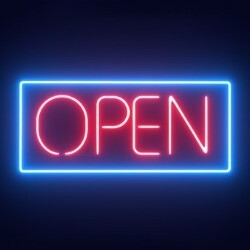 Fear not, there are a whole host of exciting events to attend both on campus and further afield, supporting ground breaking academic research and the work of our alumni. Having completed four successful Life Cycles – The University of Nottingham’s Vice-Chancellor and his team will be back in the saddle once again in 2015. This year’s challenge is gearing up to beat dementia. Come along and join us on Sunday 23 August to pave the way to earlier diagnosis and better treatment for dementia. You can take part in one of our sponsored bike rides, 75, 50, 25 or 10 miles and you’ll be cheered across the finish line and receive a well-deserved goody bag and medal to mark your achievement. During the day there will a range of family-friendly activities and if cycling isn’t for you, simply come along to Nottingham Lakeside Arts to cheer the riders on and enjoy a BBQ and the post-ride celebrations. More than 800,000 people in the UK have dementia and one in three of us has a friend or close family member who is affected. Yet, dementia receives only about 1/12th of the research funding devoted to cancer. Our target is to raise £350,000 to enable us to use our Nobel Prize winning expertise in MRI scanning to conduct world-leading research into the different ways that dementia damages brain cells. Your support for Life Cycle 5 will pave the way to earlier diagnosis and better treatment. The Edinburgh Festival Fringe is the largest arts festival in the world, taking place between 7 and 31 August in Edinburgh, Scotland’s Capital. Thousands of performers take to stages all over Edinburgh to present shows for every taste. From big names to unknown artists, the festival caters for all and includes theatre, comedy, dance, physical theatre, circus, cabaret, children’s shows, musicals, opera, music, spoken word, exhibitions and events. We are proud to announce that there will be performances from our very own New Theatre as well as some of our alumni. So, if you are heading to the city, try and attend one of the following shows – members of the alumni team will be visiting during the month too! 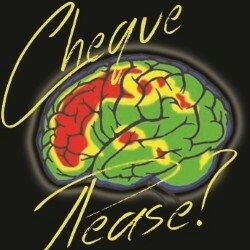 Cheque Please: Ivy, a waitress, who offers the audience a chance to experience a couple of weeks inside her head. Open: Sharp devised theatre peering through the cracks in modern Britain. A brand new original piece set in a takeaway on election night. The Final Act: UoN alumni group consisting of Nick Stevenson (producer), Kat Tye (script) and Tom Hicks (script), James McAndrew (Director) and actors lyle Fulton, Gemima Rathbone, Verity Spencer, Will Hedges, present a comedy musical where given one last chance to save their theatre society, an eccentric creative team must stage a spectacular sell-out show. 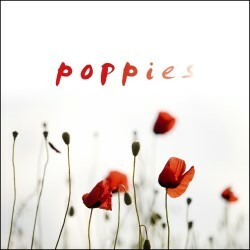 Poppies: Alumni group Laura Thomson (producer), George Bancroft-Livingston (director), Matt Leventhall (lighting designer), Kat Tye (musical director) present and musical opera set in August, 1914. A young folk band are about to embark on the biggest adventure of their lives. Forced to separate, they discover that their music might just be what keeps them together, and alive. 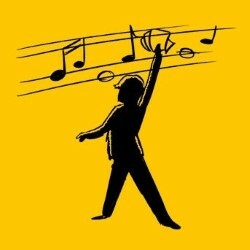 Sound of Musicals: From Sondheim to Hammerstein, the Sherman Brothers to Stephen Schwartz. 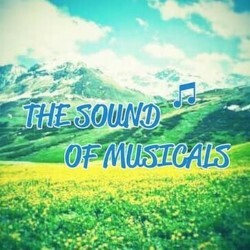 Music Box Theatre in association with theSpaceUK presents an array of songs from all your favourite musicals in this fabulous lunchtime extravaganza. 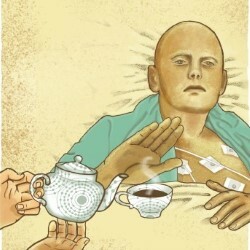 The Litvinenko Project: Join 2Magpies in Summerhall café (strictly limited capacity) as they piece together the day Alexander Litvinenko was poisoned in an aromatic blend of possibility, actuality, fact, and fiction. They will even provide the tea. Ventoux: Ventoux is the most fearsome mountain encountered on the Tour de France. It is also the story of Lance Armstrong and Marco Pantani – whose drug-fuelled race there in 2000 was the greatest cycling had ever seen. 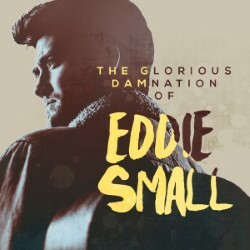 The Glorious Damnation of Eddie Small : Alumni Lizzie Bourne features in this musical, inspired by Robert Johnson, this is a new play about the people we were and the people we become, told by a bluegrass band. We hope you enjoy August as much as we plan too!